We expect parents to cover electrical outlets, put gates on stairs, and childproof their doors and cabinets, but we ofter forget about the hidden danger of the cords from window coverings. Yet the Consumer Product Safety Commission (CPSC) says corded window coverings are one of the top five hidden hazards in American homes, with infants and children (and family pets) accidentally becoming entangled in window cords. A serious accident can only take seconds. 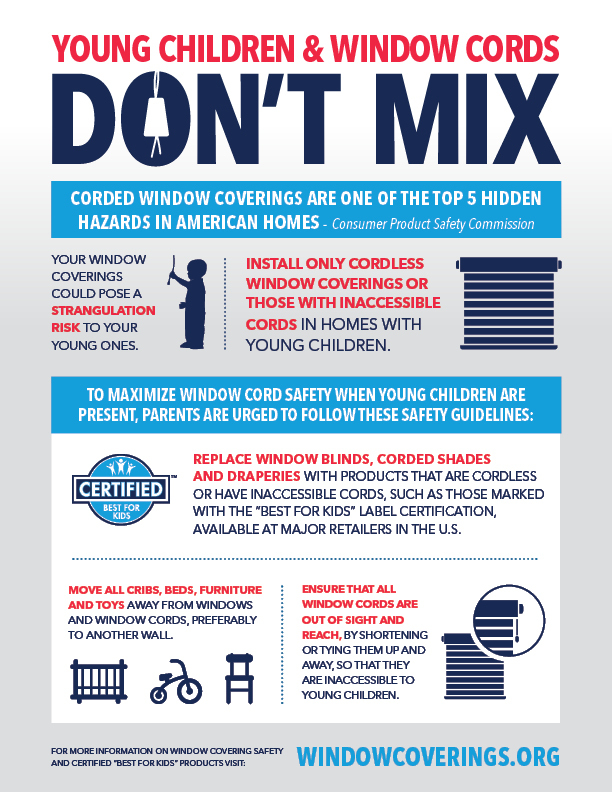 The CPSC, WCSC, and safety advocates all recommend using only cordless window coverings or window coverings with inaccessible cords in homes with young children. “New industry innovations and safety standards have provided consumers with more choices than ever to obtain cordless products or those with inaccessible cords,” said WCSC Executive Director, Peter Rush. The WCSC urges parents to replace window blinds, corded shades, and draperies with products that are cordless or have inaccessible cords marked with the Best for Kids™ certification label. The label enables you to easily identify products best suited for homes with young children. 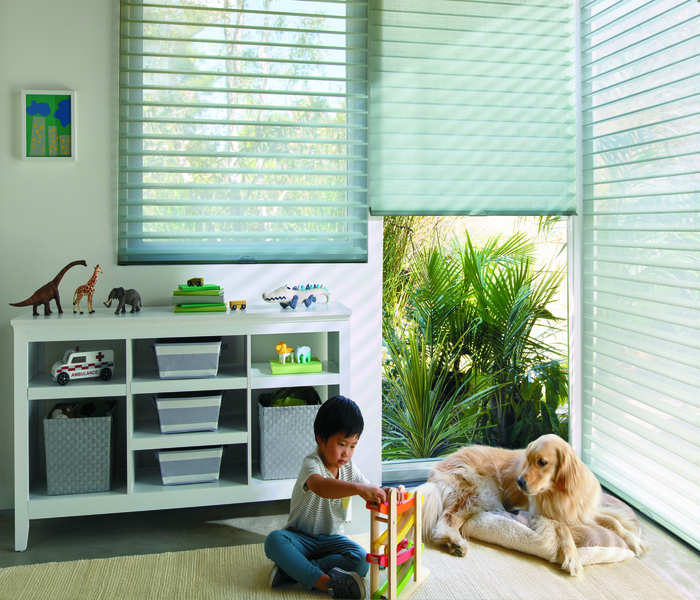 You can also retrofit older window coverings for child safety. Keep these safety tips in mind when you’re visiting family and friends who might not have young children in the home. A roll of blue painter’s tape comes in handy for a quick temporary fix of taping cords to the woodwork. Arrange a FREE in-home consultation with one of Hirshfield’s Window Treatment Designers. The Shop at Home service is available in 5 key marketplaces and surrounding areas: Twin Cities, Rochester, Alexandria, Sioux Falls, and Fargo/Moorhead.